Whitelee Wind Farm, East Ayreshire. Whitelee Windfarm is Europe’s largest windfarm and is located on Eaglesham Moor just 20 minutes from central Glasgow. The windfarm has 140 turbines which can generate 322MW of electricity, enough to power 180,000 homes. Entry to the windfarm and visitor centre is free and with an interactive exhibition and over 70km of trails, there is a lot to explore! 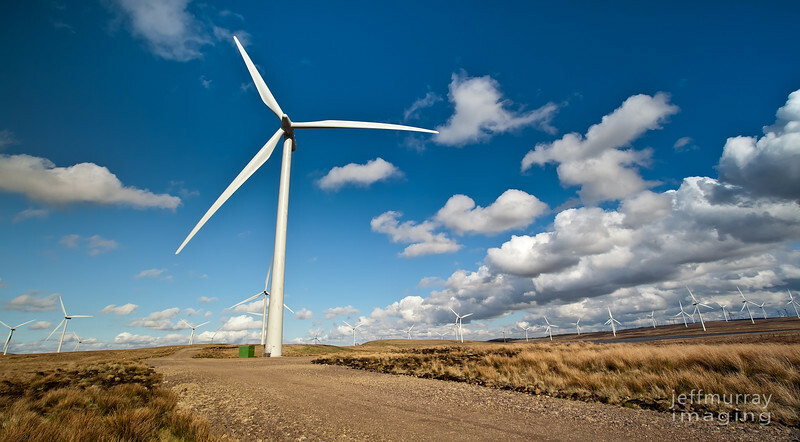 Over the past ten years Whitelee has been carefully planned and designed to work in harmony with the existing environment and after three years of construction the windfarm is fully operational and producing clean, green energy. Whitelee’s trails are great for cycling, walking and even horse riding.